With overclocking becoming a bigger and bigger fad in the technological world, users and CPU�s demand better cooling to keep up with the excess temperature from overclocking. Companies are trying to produce better and better cooling solutions for the overclocker and the enthusiasts. 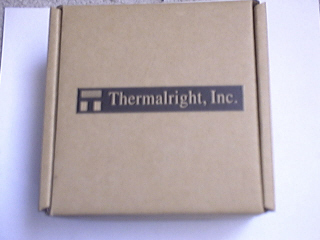 At the top, we have Thermalright who was kind enough to send their latest socket A heatsink, the SLK-900A. 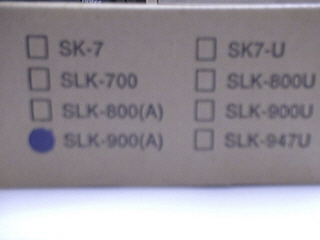 The SLK-900 comes in two flavors, the A and the U. The A is only compatible with the AMD A socket while the U is universal, hence the name, and is compatible with both AMD and P4 setups. The deal with the U version is that it requires 4 mounting holes on the motherboard, as it does not use the 3-prong clips to hold the heatsink in place. Though the SLK-900A is just a heatsink instead of the heatsink fan solutions like most competitors, it is able to accept a variety of case fans ranging from 65mm to an awesome 92mm with the stepping at the top of the heatsink. 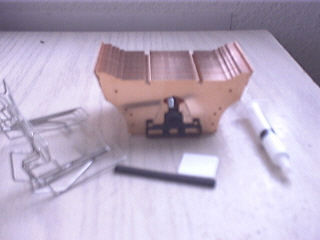 Along with the SLK-900A come three sets of spring clips that correspond to the size of the fan a user is trying to install. 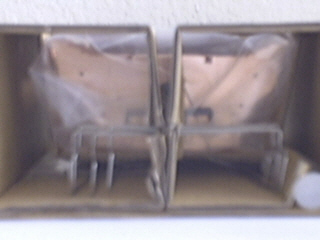 To use these clips, there are holes on the heatsink that corresponds to the size of fan that the user is trying to use. The diagram below will give a more detailed description of the stepping and the holes. The same diagram can be found on Thermalright�s website. The packaging that the SLK-900A came in was plain but still pleasing to the eye. 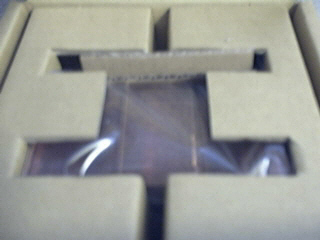 The heatsink was held inside by more cardboard folded to accommodate its shape to prevent any shipping mishaps. It came along with three sets of spring clips, a syringe of thermal paste, 4 pads that go under the heatsink to prevent cracking the core, two black rubber strips for T.M.D fans, and of course the SLK-900A. 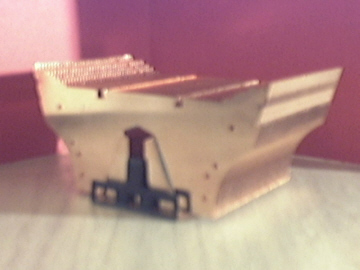 This monster weighs in at a hefty 527 grams (heatsink only), which is about 1.5 lbs. Its top dimensions are L96 x W59 x H44 (mm), without fan and its base dimensions are L34 x W59. Because of the large size of the heatsink, it may run into capacitors on certain motherboards that have their capacitors placed too closely to the CPU.